India’s new government-run MOOC platform SWAYAM has launched. It was originally supposed to launch in October 2014. We recently tried SWAYAM and it mostly malfunctioned. We also recently looked into the Colombian government’s MOOCs and sadly those also malfunctioned. 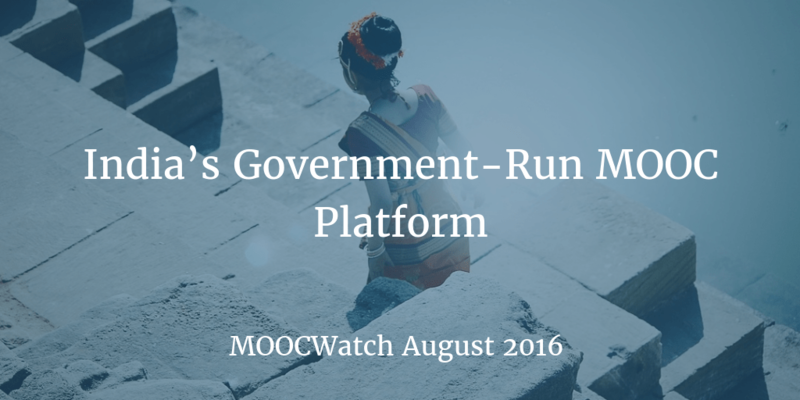 Several other governments are attempting to launch MOOC platforms. We will keep you updated on those efforts. Coursera’s co-founder Daphne Koller is leaving the company to continue her healthcare AI research by joining Calico, a subsidiary of Alphabet. She will remain co-chair of the board at Coursera. Microsoft launches a degree on edX costing around $500. MIT, Stanford and Harvard launch online courses that are bigger than small private online courses (SPOCs) but smaller than MOOCs. Coursera crosses 400,000 learners in Colombia. Dutch universities reach 2 million MOOC learners. The University of Pennsylvania crosses 5 million MOOC enrollments. There are new MOOC-related studies and surveys. Plus, new MOOCs on wine, slapstick, Oscar Wilde, and cooking. Find all these stories and more in this month’s MOOCWatch. 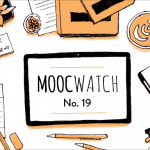 Please share MOOCWatch with your colleagues in the online learning field. Indian government launches its MOOC platform SWAYAM. We test SWAYAM and sadly find it unusable. Iversity, a small MOOC provider based in Germany, is saved from bankruptcy. Online course provider Treehouse, which has over 600,000 enrollments, cuts staff and alters its 32-hour workweek in hopes of achieving profitability. Coursera reveals that it has over 400,000 students in Colombia and that 5 of the 10 most popular MOOCs for Colombians are from Bogota-based Universidad de los Andes. Carlos Guestrin, a University of Washington professor who teaches the machine learning Specialization on Coursera, just sold his machine learning startup to Apple for $200 million. The best new courses starting in August 2016. A list of 1300+ free online courses starting in August 2016. The list of 126 new courses added to Class Central in July 2016. A professor in Saudi Arabia urges its dictatorship to recognize MOOC-based credentials as valid. Around 18,000 people have enrolled (and 3,000 have finished) the cooking MOOC Introducción a la cocina al vacío on Spanish MOOC platform MiriadaX. 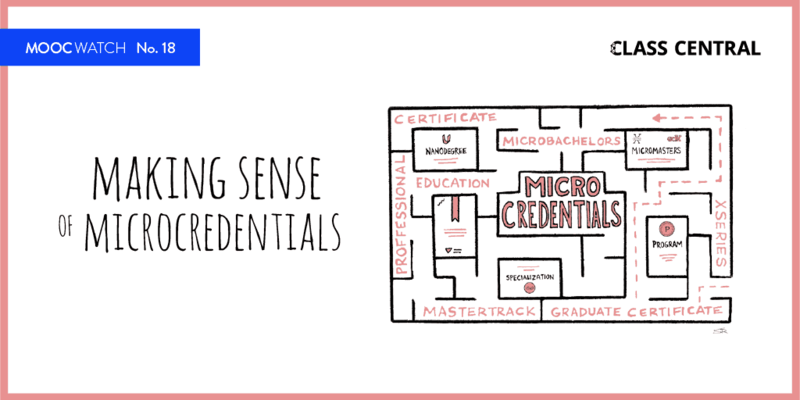 The MOOC is co-taught by El Celler de Can Roca, one of the world’s top-rated restaurants. Microsoft launches a 10-course data science degree on edX costing around $500. Columbia University and the Berklee College of Music are the latests institutions to join Kadenze, the arts-focused MOOC platform. Article on the history of distance music education by Kadenze co-founder (and Princeton University music professor) Perry Cook. MIT launches an online big data certificate that takes 8 weeks to complete, has cohorts of around 800 students, and costs $2,300 per students. Stanford University has launched a microbiology open online course with enrollment capped in the hundreds. Students submit their data to be analysed in a centrally housed lab. Harvard University launches 8-week online courses in a new program called HarvardXPlus. The courses will cost between $200-$500 and enrollment will be capped in the hundreds. Harvard is using a high-end production studio to enhance student-teacher interaction in its online courses. Tech-focused career marketplace Dice partners with Udemy to help job seekers improve their skills. Coursera announced that all its MOOCs will soon be session-based (every MOOC will have a new session every month). Boston University and Davidson College partner with seven high schools to test the use of MOOCs to teach AP curriculum during class time. Teach for America joins edX and, in an ironic inversion, launches a MOOC on teaching high school geometry. Cybrary, a cybersecurity MOOC platform with over 500,000 users, raises $1.3 million to fuel its expansion. VIPKID, a China-based one-on-one platform for English language learning, just raised $100 million. Students in the MIT Introduction to Philosophy MOOC on edX will have their essays graded by PhD students. Article on using tech tools in online courses to improve accessibility. Interview with MOOC pioneer George Siemens on how digitization is refocusing and personalizing learning. Interview with ASU president Michael Crow discussing the university’s credit-granting MOOCs and its big partnership with Starbucks. Article on how to approach MOOCs written by Walter Frick, an editor at the Harvard Business Review and a MOOC addict. In case you missed it last month, here’s our list of the 50 best-reviewed free online courses in the world. Georgia Tech’s MOOC-based Computer Science Master’s degree single-handedly increased access to CS graduate education in the U.S. by 8% in its first year. Online learning researcher Justin Reach describes some of the types of students that MOOC can reach. Study on how students engage in forums with other students holding different political beliefs inside an education policy MOOC. When Smith College faculty created a MOOC on the psychology of feminist activists, they partnered with their undergraduate students to design it. They also asked the activists covered in the MOOC for input. Over 2 million people have enrolled in MOOCs offered by Dutch universities. Article written by a director of media relations at MIT on the evolution and impact of MOOCs in the past few years. The U.S. Department of Education launches experiment allowing a few non-traditional online course providers to launch programs eligible for Pell Grants and federal student loans. Fifteen students in an internet news video production MOOC won grants to travel to YouTube’s São Paulo offices for a workshop. Over 2,300 faculty & staff have developed MOOCs on edX and over 840,000 certificates have been earned by learners. Enrollment in the University of Georgia’s non-MOOC online summer school courses has more than doubled in the last two years to 7,507. Most of the enrollments come from undergraduate students. New survey shows half of non-MOOC online students would not opt for in-person courses even if they were available to them and that fewer than one in five of them understood anything about MOOCs, micro-degrees or boot camps. The University of Pennsylvania crosses 100 MOOCs and 5 million enrollments. All 12 of its schools are contributing MOOCs. The Sorbonne will launch a MOOC on Oscar Wilde this October on edX. New MOOC on the history of slapstick movies on the Canvas platform. Over 50,000 people from 160 countries have signed up for the World of Wine: From Grape to Glass MOOC on edX by the University of Adelaide. MiriadaX, the Spanish MOOC platform with over 2 million students, has launched its app. 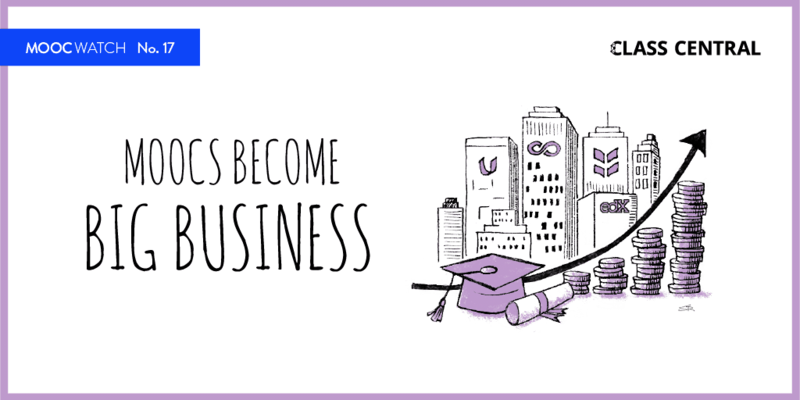 Imperial College London joins edX and launches 4 MBA-related MOOCs. Harvard University and MIT organized a conference with edX partners seeking to analyze MOOC student data. Study of learner engagement in two FutureLearn MOOCs. A Kickstarter campaign for a new learning platforms for parents. Arianna Huffington will launch an online courses platform focused on health and wellness in the workplace. Flex Class is a new MOOC platform where students who complete the MOOCs get their tuition back from a sponsoring employer and internships / job offers.